The "Pfons-Brenner” construction lot includes the excavation of 50 kilometres of tunnel. The bidding consortium "Porr-Hinteregger-Condotte-Itinera", as best bidders, were awarded the contract which is worth 966 million Euro. The Federal Administrative Court in Vienna made its ruling on the two appeals concerning the Pfons-Brenner construction lot. 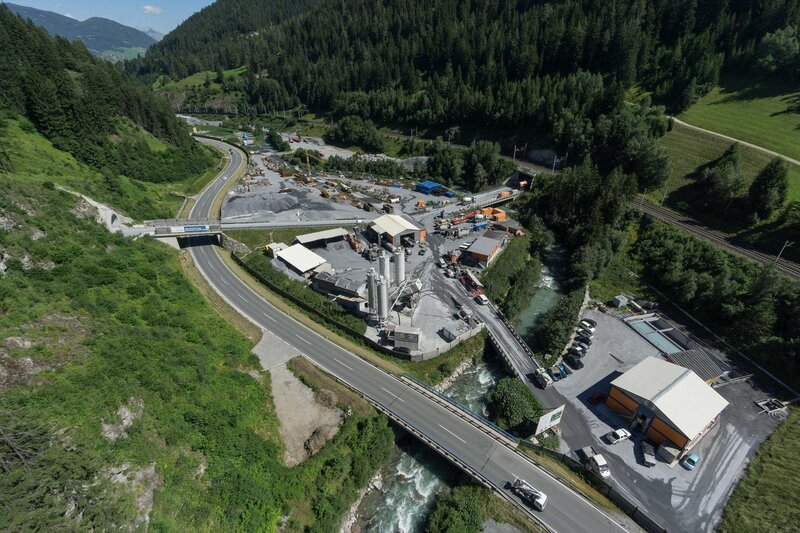 The consortium "Porr-Hinteregger-Condotte-Itinera" will begin promptly with the works in Wolf / Steinach. The stretch includes the construction of 37 km of main tubes between Pfons and the Brenner pass, about nine km of exploratory tunnel and the emergency stop in St. Jodok. The two main tubes will be built using tunnel boring machines. The other stretches will be built by blasting. Construction is expected to last six years. This construction lot will produce about four million cubic metres of spoil. A good third of this can be recycled as aggregate to produce concrete. With the awarding of this contract, 80% of all the construction work on the BBT has been tendered and contracted. 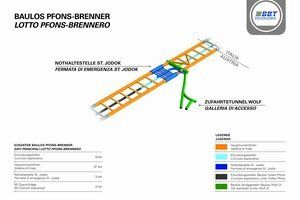 Currently, 85 km of tunnel, out of a total of 230 have been excavated - over 50% of the exploratory tunnel and just under 20% of the main tunnel tubes. The Austrian Federal Minister Norbert Hofer has already toured the construction sites. 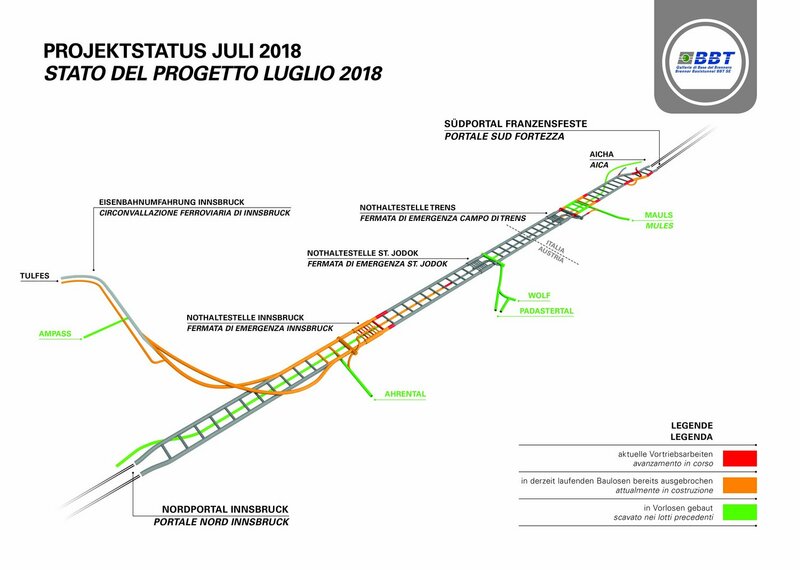 He is an active supporter of the project and of pertinent measures along the Brenner Corridor. The Italian Minister Daniele Toninelli also supports the project. The European Union (EU), represented by the Coordinator who is responsible for the Brenner Base Tunnel, Pat Cox, is a constant supporter of the project. The EU bears about 40 % of the construction costs and 50 % of the costs for studies and the exploratory tunnel. 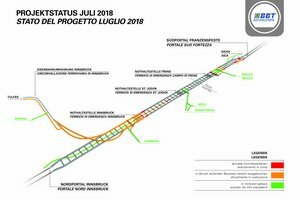 Currently, over 1,000 people are working on this European infrastructure project, in Austria and Italy.